The Technicolor TG589vac v2 is now an end of life product. Our stock of this product has now run out and we would like to introduce you to its replacement, the new DWA0120. As the direct replacement to the TG589vac v2, the DWA0120 is now available to purchase, this router features all of the same product specifications with additional support for the new IEEE 802.11ac Wave 2 Wi-Fi standard and is black in colour. Supplied at the same price point, the DWA0120 is also Openreach approved and is compatible with our TR-069 router provisioning server meaning you can ship routers direct to your customers ready to plug and play! We have received notice from Technicolor that the TG589vac is now end of life. We have a limited number of units available and when we run out we will be unable to replenish our stock. The TG589vac has been directly replaced by the brand new Technicolor TG589vac v2. This new model is almost identical in feature set but offers a new slimmer design, allowing the package to fit through a standard letter box. The TG589vac v2 features one USB2.0 port whereas its predecessor offered two. As of April 2016 BT Openreach have changed their FTTC installation process. This has meant they no longer supply or install their modem for FTTC connections. 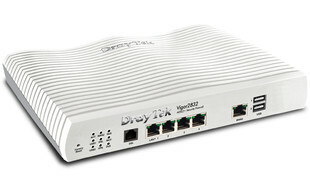 Service providers now need to supply VDSL2 modems that connect to the BT phone socket. 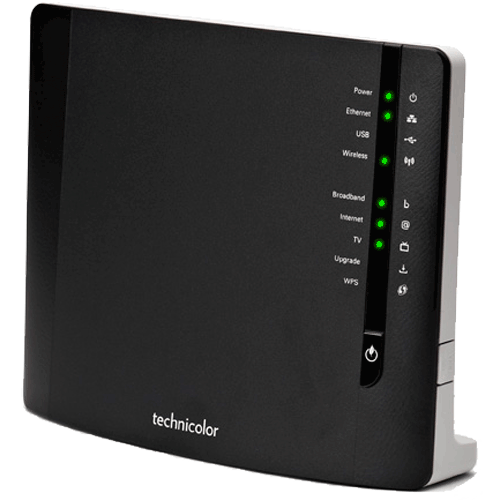 Due to popular demand we have added two Technicolor routers to our portfolio that have BT Wholesale approval. These are the TG588v v2 and the TG589vac. Both routers support ADSL2+, VDSL and are ideal for Fibre to the Cabinet scenarios. The TG589vac also features IEEE 802.11ac wireless standard for the 5 GHz band, enabling even higher throughput and better Wi-Fi coverage. The TG589vac also features a dedicated Gigabit Ethernet WAN port and 4 Gigabit Ethernet LAN Ports where as the TG588v v2 features 4 Fast Ethernet LAN Ports. We offer a router set-up service for our resellers. For a small charge we can pre-provision either generic or customer specific settings to your routers prior to despatch. This enables fast and smooth installation at your customer’s site. Find out more information about BT Openreach CPE Enablement. The Technicolor TG582 ADSL router that we have sold for a few years has just undergone a slight refresh. The old part code TG582NPRO is now out of stock. The new part code is TG582N_SB. This new model is identical in every way except it doesn’t have a USB port on the side any more. So be aware, you wont be able to do these things with the new version but everything else remains the same. Our pre-configuration service for these routers remains unchanged as well. We are also in the process of testing the TG589VN router which is a more powerful Technicolor router we think will be good for those using Fibre-to-the-cabinet services where the throughput of the TG582 isn’t up to the job. We should be launching this product soon. Worth noting that it does have a USB port on it. ProVu are now stocking the Thomson TG585 V8 routers. This is primarily for ITSP and installer customers so they can buy the phones and router from one supplier. We can also set the ADSL username and password in the router before shipping. This has cropped up a few times of late. Administrator is the default user on the box. You should get something similar to below after doing this.